Fintan Wallace from Ecological Building Systems, a specialist in high performance, environmentally-friendly building materials, discusses the benefits and eco credentials of natural jute insulation. For many self-builders, environmental responsibility is not simply an element that they aim to build into their new home; it’s the whole motivation for building a house in the first place. With so much mainstream property development overlooking the need for a more environmentally-focused approach to improving thermal performance, reducing waste and enhancing sustainability, the self-build sector is showcasing innovation and best practice. However, it’s not always easy to find products that deliver genuine environmental credentials alongside credible building fabric performance, and eco-benefits should never be prioritised over the build quality and service life of a finished property. That’s why natural jute insulation has become such a hero product for selfbuilders across Europe, because it combines an inspirational story of sustainability, upcycling and recyclability with properties that defend against mould and insects and provide excellent indoor climate advantages all year round. A sustainable crop that requires only low-level processing, jute has been used for centuries to protect delicate and high-value food items during transit. Fabricated into lightweight, open weave ‘gunny bags’, jute fabric protects commodities like cocoa beans and coffee. Because jute contains no proteins, it is not affected by damp and cannot support insect life, protecting cargo from mould, fungus or infestation during transit. Jute gunny bags are still used in this way today and the jute used to make thermo jute insulation is upcycled from bags that transport cocoa used to manufacture Ritter Sport chocolate bars. Produced using a thermo-bonding process that involves 100% eco-electricity, the extremely durable insulation is designed to last for the lifetime of the building and is then totally recyclable, completing the circle of sustainability that starts with a seed in the ground. 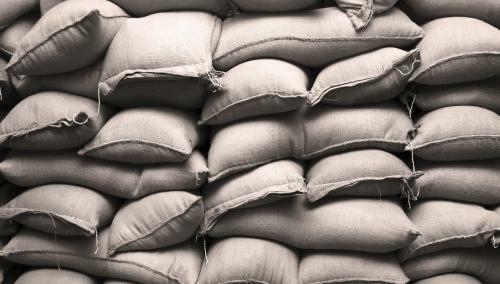 During the upcycling process from gunny bag to insulation, thermo Jute loses none of the natural properties that makes jute such a useful and versatile material. No mould, mildew or fungus can grow on thermo Jute, earning the insulation a top rating of ‘0’ (according to EN ISO 846). Protein and starch-free, it is resistant to any insect infestation, helping to protect the fabric of the building and the home environment throughout the lifetime of the finished project. Functionality without compromise. 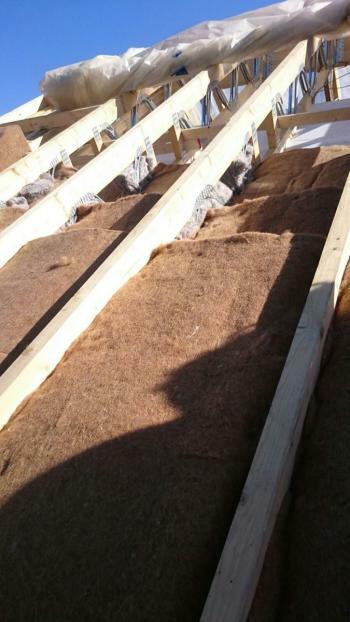 Perhaps the most compelling reasons for installing natural jute insulation are the performance benefits this price competitive solution can provide. With a lambda value of just 0.038, thermo jute offers very low thermal conductivity, providing an excellent barrier to cold air during the winter months. Thermo jute’s high-density structure even acts as an acoustic buffer, helping to keep a property quieter, as well as supporting a more comfortable, ambient indoor climate. Having committed to environmental principles when starting a self-build project, it can be hard to reconcile those aims with the need to create a durable, energy-efficient and comfortable home; but it’s not impossible. 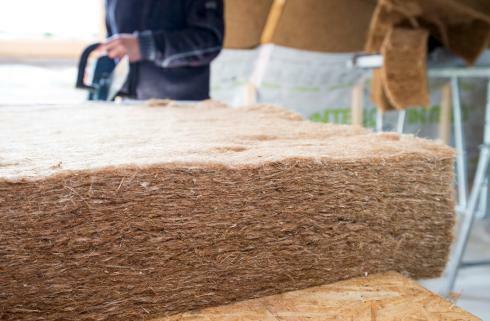 The use of natural jute insulation enables selfbuilders to actively protect the environment by using a material that is produced from renewable sources using green energy, in the knowledge that it can ultimately be recycled again. When all of those environmental benefits are balanced by a price-competitive solution that offers excellent thermal performance for a home that’s warmer in winter and cooler in summer with no risk of mould or insect infestation, it’s a true specification win-win. We may not be able to offer you a calorie free chocolate bar, but upcycled gunny bags insulating your walls, floors and roof is surely as close to guilt-free as it gets!